U.S. 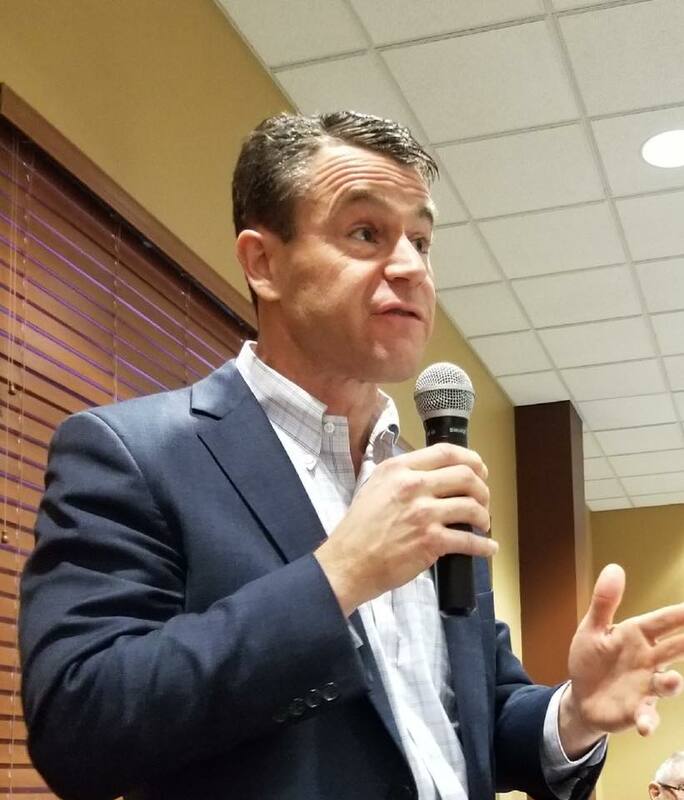 Senator Todd Young made a special visit to the area on Friday, ending his day in Angola as the keynote speaker of the Steuben County GOP's Lincoln Day Dinner. The annual event took place at Glendarin Hills Golf Club. While in Steuben County Young said he made visits to several locations throughout Steuben County, including a stop at Trine Univeristy at Cardinal I-G in Fremont. Senator Young said great things are happening in the country and for Indiana because of his party's leadership. Young, who was elected to the Senate in 2016, previously served three terms in the House. He currently sits as the chairman of the National Republican Senatorial Committee. With the 2020 election cycle gearing up, Young remained hopeful about the possibility of holding the 22 Republicans seats that will be up for grabs.